Playing classical guitar well can take years of study, not only of playing techniques, but of music theory as well. Most classical guitarists are professionally trained, either by attending a school for the performing arts or by studying with advanced teachers. A lot of times it’s a combination of both of these. Some classical guitar players never fully leave their training behind. What about the guy or girl that just wants a little classical playing under their belt, or the aspiring classical guitarist that can’t afford to go to a school for the performing arts or study with a renowned teacher? What are the options for these guitar players? Classical guitar lessons online might be the answer. 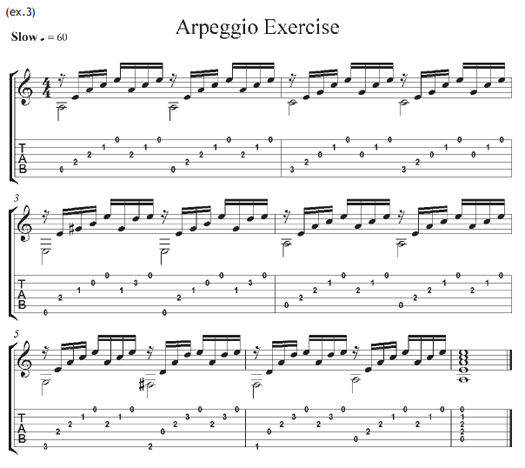 There are a number of websites that offer lessons like the arpeggio fingerpicking lesson here. Face it, there are a lot of reasons, such as those mentioned above, why classical guitar lessons online are a good idea. Another reason may simply be that you are one of those people who works better on your own. 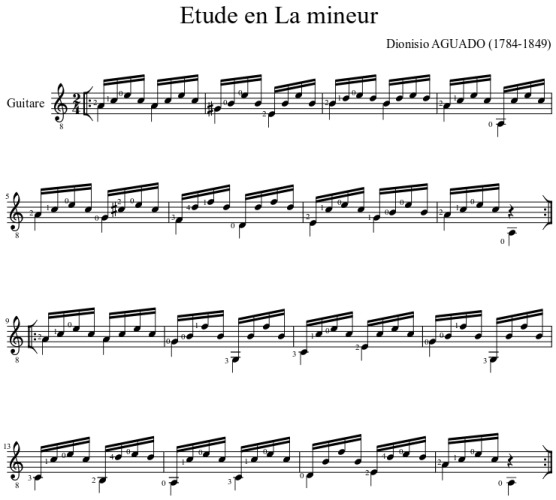 If this is the case, you’ll have no trouble finding a plethora of online lessons teaching every aspect of classical guitar playing, whether it’s fingerpicking techniques, scale study, or scale studies like the minor etude in the example below, you can take advantage of the Internet to develop you skills as a classical guitarist. Maybe you’re just a metal maniac or a rock guitarist that wants to put a little time into studying classical guitar to expand your boundaries. This is good too. There are classical guitar lessons online aimed at the rock guitar player. Another good resource for guitar players to mine when it comes to classical guitar lessons is the video sites like Youtube. Many of these video sites have fantastic video lessons that focus on flamenco guitar techniques, classical picking exercises, and even speed metal techniques based around classic motifs. While you’re at it, don’t just focus on the playing aspect. It always good to do a little historic study of the musical genre you’re most interested in. The history can offer many really cool perspectives that can deepen your appreciation for the music you want to study and can help shape and influence the way you learn. So, no, you don’t have to spend lots of money learning to play classical guitar. With all the classical guitar lessons online, playing like the masters is just an Internet connection away.